3. Knowledge of Star Wars: I originally did not get into star wars until maybe 2002. I had a neighbor who was basically a Star Wars Encyclopedia. Since then I have learned a lot. From the Infinite Empire to the Third Jedi Purge. Of course keep in mind some of which was all in bits and pieces. 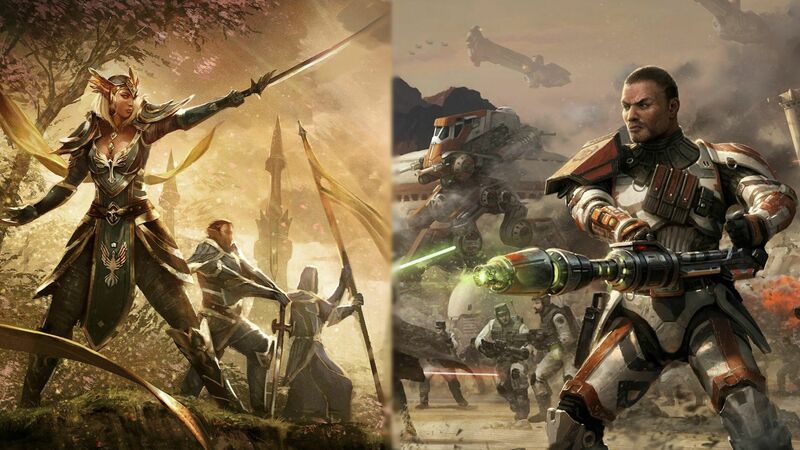 I have played several games going into Star Wars such as KOTOR, Battlefront 1 and 2, Empire at War, Forces of Corruption, Republic Commando, Jedi Academy as well as many others I cannot think of at this time. But in truth ask me about something and I can most likely give a good answer in regards to the question. Especially pertaining to the Clone Wars. 4. Past MMO/Guild experience: Past MMO experience would definitely have to be EVE. I played WoW very briefly along with Evony. Could never get into either of which. But EVE, I've played EVE quite a bit. I mean not saying I own all the ships in game but I have managed to get up to Battlecruiser in that game. Mostly working for Command Ships. Past guild experience would include Imperial Assault Forces which were on EaW. Never left the group, I stood by it until it disbanded. And also very briefly I was with Prime Defense. I trialed them so to say. I was accepted but I didn't advance as a full member. I didn't like their choice of some leaders, if you could call them that, they were rude, stand offish and obnoxious. I am not one for such things. As I know AL has had a feud with PD from what I heard. If it helps any, I give my utmost assurance I am no spy. I cut my ties to PD, I made that very clear when I left. 5. Role and Activity: My role would mostly be team player, I just follow orders and do my duty, if need be I'll step up to the plate and lead the men. Or as some people would put it, "run" the men, Leaders may lead but non commissioned officers run things. Activity, I plan to keep active on the site. For I am home schooled so there is only one excuse as to why I am not on and that is me playing on my 360. 6. 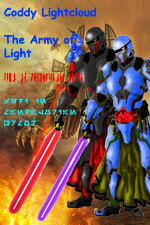 Why is Army of Light a good fit: Well for me it would have to be that I have seen no inequality here. No racial bigotry, good leadership as well as a lot of effort put into the guild. But mainly for me because of the no inequalities thing. I like it where it is everyone is equal. 7. Expectations: My expectations of the guild are mainly just the amount of equality I have seen and good leadership. But also a group of ladies and gentlemen who come together not just to play but to be an inner circle of friends. 8. Age: 17 as of two months ago. 9. Time Zone: GMT -08:00 Pacific Time. 10. Roleplaying Experience: In all honesty I have none I mean I know what to do just never had any participation in such things. 11. Benefit and help to the guild: I don't have any idea what may be needed here to be honest but whatever you guys need help with I'll give a 110% full effort to try and help. 12. A quality member: How to define one? In my opinion a quality member is someone who takes things as they are even when they know it might be wrong they still go with it and realize in the end it's about the guild not you. A quality member is someone who provides suggestions to their leaders from the viewpoint of the guy below them, without being disrespectful that is. And a quality member is someone who steps up to the plate when the time presents itself and leads their fellow members to victory. 13. Finding Army of Light: I found Army of Light on the TOR website, with also a little help from Seraphin Nero. 14a. Charter, Mission Statement, Rules of Conduct: Yes I have. 14b. Pledge: I pledge to uphold each and every policy that has been presented before me. 14c. Oath: I humbly accept this oath that has been placed before me. I will commit my loyalty to the Army of Light and its members. Respect: Treat others the way you like to be treated. Kindness and courtesy. Loyalty: Faithful adherence to a sovereign. Army of Light in this case. 16. Assistance Offered: Friend of mine recently had been hit by his dad. It's never happened before, so he packed his bags and left. Nowhere to stay and wasn't bothering to ask for help from anyone. I dragged him into my home and gave him somewhere to stay until his grandparents kicked his dad out of their house. A use of loyalty to those who are your brothers or your sisters. 17. Scenario: Well we may see enemies in the camp but there is a good chance there is a patrol or two moving around. The two best things in this scenario are; A) Two guys kill the men inside the camp while two others keep watch for patrols, or, B) Split the team up, two go to the relay post, two stay back at the camp and wait. Synchronize your attack on the relay with the attack on the camp. When the time is right, strike your targets. The men at the camp will be too focused with the two guys left behind to help at the relay. While at the relay the two that were sent there can easily dispose of enemy opposition without the worry of enemy reinforcements coming. If any from the camp were to escape and fall back, they would risk being shot in the back and killed as they ran. In the scenario depicted option B would be the best thing. 18. Personal depiction: My roleplaying character is more like me. Quiet off the field but loud on it. Smart and sensitive. Gentleman and loyal. For that's who I am in real life. And it's how my character is. Also to add, on the field I am also quick witted, off the field not so much. Leaned back off the field, tough as nails on the field. However, like me, my character has his demons that tend to make him more quiet. Just like me, at times when I may not say a word, it worries people as to what I may be thinking or reprocessing in my head. Reprocessing as in; memories. But do not worry it does not intercede with the guild. At the very most I'll probably discuss some memories. Physical/Mental Features: Mental; Strong minded but remembers a lot of things that are best left forgotten. Physical; Built like me, slender, strong leg muscle and arm muscle. Not like me, missing right arm after a mission that turned south. Replaced with a prosthetic. Biography: Born on the planet of Bellassa, raised in a working family, left to become a soldier for the Republic just in time for the war to start. Your Application is now Under Review by the Recruitment Council. You will receive a reply shortly, typically within 48-72 hours. Good luck with your application, and welcome to the AL. It is always nice to see Troopers joining. Good luck with your application, happy to have another trooper applying! More Troopers, Huzzah!!! good luck on your app mate, hope you get in. Thank you for the amount of troopers this month, Welcome and I look forward to meeting you. Thanks everyone. I appreciate the welcomes. Wait PD? lol nice to see another come from the same back ground as me PD wise.I hope you make it in. Nice application. Thank you for putting the time and effort into it and filling it out completely. The effort that you put into the application shows the pride you have in yourself and your work. Nice application and good luck! @ Ormal: I heard of Maze, everyone said he left. Told Ryubusa to take his policies and shove them up where the sun doesn't shine. All because apparently Ryubusa kicked a member out for no valid reason at all. Maze was originally my second Padawan ever when we were both still in the New Jedi Order and a Mispir, as well. I was disappointed when I saw him join PD, as I felt he could do better for himself than that. Congratulations on acceptance and welcome to the guild. If you've got any questions about what needs to be done now you know where to find me. Congrats Glendan! Feel free to PM me with any questions you may have on the trials. Good luck and welcome to AL!